The specialised commercial crimes court in February sentenced Mohlaloga to 20 years in jail for defrauding the Land Bank of R6 million. Parliament’s portfolio committee on communications wants convicted fraudster and chairperson of the Independent Communications Authority of South Africa, Manyaba Ruben Mohlaloga, to be fired immediately. 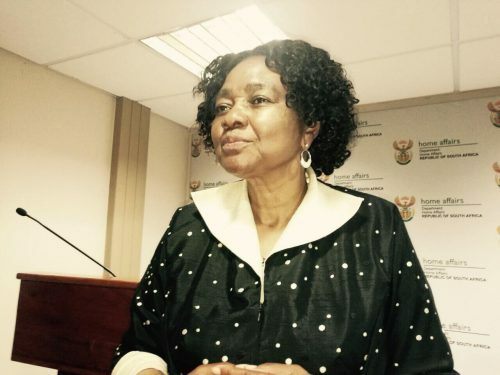 Committee chairperson Hlengiwe Mkhize said members adopted a resolution that Mohlaloga be removed in terms of section 8 of the Icasa Act. ”Having deliberated on the issue of the chairperson of Icasa, the committee has once more emphasised that he should be removed as a chairperson and also removed as council member of Icasa, as it is in the Act of Icasa that a person who is found guilty cannot hold the position of a councillor,” Mkhize said in a statement. The specialised commercial crimes court in February sentenced Mohlaloga to 20 years in jail for defrauding the Land Bank of R6 million in a case dating back to 2012. His lawyers have since launched an appeal against the sentence. Mohlaloga, who was then an African National Congress (ANC) legislator and chairperson of parliament’s portfolio committee on agriculture, was found guilty of conspiring with then Land Bank CEO Philemon Radichaba Mohlahlane and Dinga Rammy Nkhwashu of law firm Masepula Dinga Attorneys to transfer R6 million into the law firm’s trust account from the bank in 2008. The money was transferred from Agri-BEE, a broad-based black economic empowerment facility intended to help black South Africans actively participate in the agricultural sector. Investigators said contrary to what the application stated, the money was never used to benefit farm workers or upcoming farmers, but rather for the personal benefit of the accused, who shared the cash among themselves. They were all found guilty of fraud and money laundering in contravention of the Prevention of Organised Crime Act in January last year. Mkhize said Mohlaloga was given an opportunity to make representations to the committee on why he should not be removed from Icasa. Among his reasons given were that he has launched an appeal against the fraud sentence.